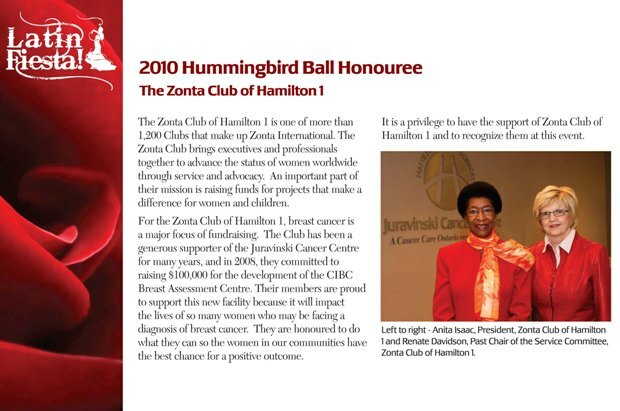 The Zonta Club of Hamilton 1 was honoured at the 2010 Hummingbird Ball in support of the CIBC Breast Assessment Centre. We have donated $100,000 and made a commitment for a further $100,000 in support of this new centre. 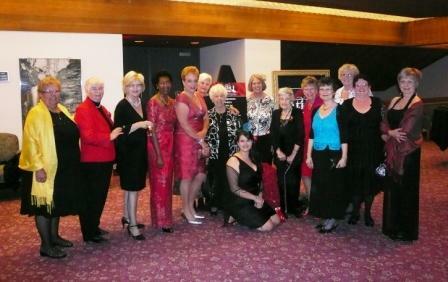 Sixteen members of our club attended the Ball where we received great exposure and appreciation. President Anita accepted the award with a gracious speech on our behalf.